When working hard to finish the book last year I completed many portraits that I haven’t let anyone see. Since I enjoy releasing them and due to the fact that there are many of them that you haven’t seen, I happy to release the image that might best represent me. 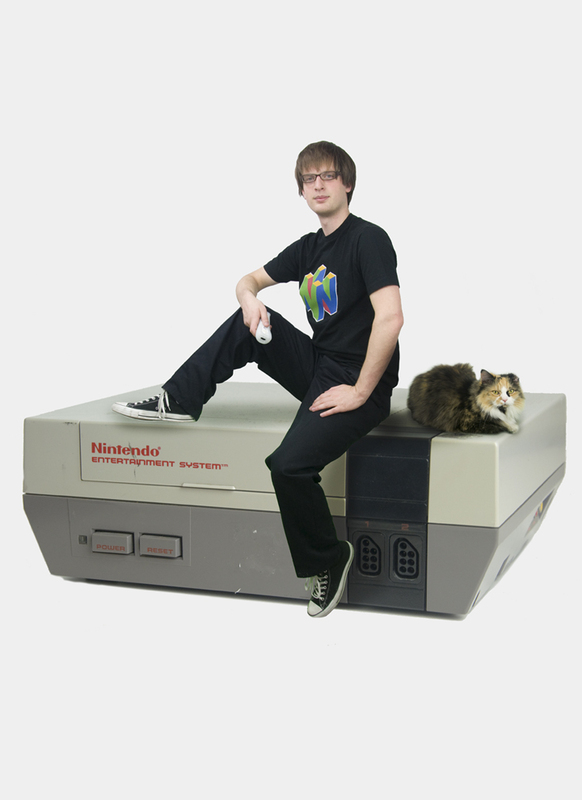 Of all of the portraits, this might most accurately reflect me when I was younger when I would have loved to of had an NES this size. There will not be a monthly following the image since it was done a few months ago and also since it was a straightforward and uneventful photo shoot. You may be blown away by the size of the NES but I will leave your imaginations run wild into how that was created. For those of you who may have missed it, there is now a page to sign up to receive a monthly subscription as well as a store set up to purchase one if you are willing to cover the cost of yours. Head over to the Publications page or head over to the store.